6 years ago today we took a risk and followed a prompting in your hearts and moved across Canada to live life on the West Coast. Listening to God’s whispers has not disappointed us. The move has been hard but the lessons have been so fruitful. I recall contemplating the move in a raining car outside the grocery store and hearing a song by third day called Revelation. I held on to those words for weeks “should I stay here, or do I need to move.” I listen to the song over and over and played out all the scary things that would have to happen if we decided to move. I would reason myself out of this crazy prompting to move, only to wake up to it again the next morning. I spoke a word to nobody while my heart wrestled with the idea. I was so focused on the how this is going to happen and what are people going to think. Then one morning after playing the song for the 100th time I listen to the next song on the CD. The voice was clear that morning. You have been pushing, pulling, taking on the demands of everything yourself. I felt God whisper, you done wrestling yet? You ready to step in and take a chance? Are you ready to let me love on you? I went home and told Jen what I had been contemplating for a month and told her to think about it. Truth be told we both knew it was not something we need to “think” about anymore. 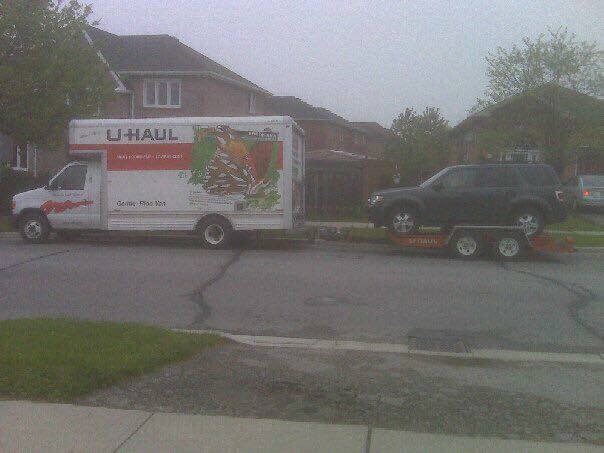 I was terrified and excited the morning I woke up to this truck sitting at the curb, ready to go, with all that was left of our possessions. It has been the hardest thing we have ever done and the hardest thing we have ever “stuck” with and through the trails and adversities I am so overjoyed with grateful tears this morning that I took a chance, listen to the prompting and let God love me. Our hearts are full of so much wisdom and our spirits are forever changed. God taught me my life matters. The story does not end there it’s just a reminder. Heading into our 7th year God is asking me the same questions whether I am willing to take chances on things that seem impossible. I am scared and excited to see what is in the gap between where I am and where we feel God is calling us. This was an amazing message! Thank you so much. I have just discovered these comments and my apologies for not responding sooner! You are so very welcome! !